PowerPoint Heaven eConvention is an annual online convention held on 27 September, a month after PowerPoint Heaven Anniversary. PPTH eCon (abbrev. 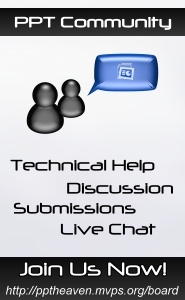 ), is a day where PowerPointers get together to discuss, review and submit their latest PowerPoint works. For the viewers and non-participants, this is also a day where you can get to see a wide variety of PowerPoint works created by the contributors. Copyright © PowerPoint Heaven. PowerPoint is a registered trademark of Microsoft Corporation. 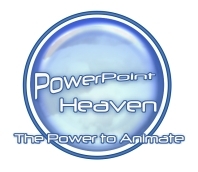 The use of the information contained within PowerPoint Heaven(site) site is free and may be copied for personal use and presentations as long as credit is given to its respective authors. These materials may not be copied for commercial use or distribution, nor may these materials be modified or reposted to other sites unless otherwise stated.